Capital punishment has been a subject for ethical debate for centuries. The use of the capital punishment in the United States and other countries has been met with much opposition throughout history. There are many individuals that do not believe it is the place of the legal system to take the life of a person convicted of a crime. There are also individuals that think murderers deserve to die. The death penalty debate is an important topic in the world today; however, capital punishment has been around for thousands of years. There are several aspects of capital punishment that have changed throughout history, including the popularity of the death penalty, the type of crimes punishable by death, and the method of execution. The first established death penalty laws have been traced back to Eighteenth Century B.C. in the Code of King Hammurabi of Babylon . This code expressed the use of the death penalty for 25 different crimes. The death penalty was also part of the Hittite Code in Fourteenth Century B.C. The Draconian Code of Athens, Seventh Century B.C., made death the only punishment for all crimes. Most societies today would never accept the same extreme punishment for all crimes. Most cultures would not impose equal punishment for shoplifting as for serial killing. At this time in history, death sentences were carried out by such means as drowning, beating to death, impalement, crucifixion, and burning alive (Intro to Death Penalty, n.d.). The method of execution has changed throughout history and appears to be associated with what is viewed as a “humane” death. A firing squad was used to execute Utah inmate and convicted killer Ronnie Lee Gardner on June 17, 2010 . This was the first execution by firing squad in the United States in 14 years because the U.S mostly imposes lethal injection in capital punishment cases (Utah Firing, 2010). However, a firing squad seems very “humane” when compared to the aforementioned types of executions. The execution methods and crimes punishable by death have changed throughout history. In the Tenth Century A.D., hanging was the most common method of execution in Britain. However, in Eleventh Century A.D., William the Conqueror would not allow criminals to be hanged or otherwise executed for any crime, with the exception of war time. Capital punishment laws changed with changing rulers. During the reign of Henry VIII, Sixteenth Century, it is estimated that 72,000 people were executed. Some common methods of execution at that time were boiling, beheading, burning at the stake, and drawing and quartering. Executions were carried out for capital offenses like marrying a Jew, treason, and simply not confessing to a crime. Again, these methods of execution seem very heinous compared to methods used today. By the 1700’s, there were 222 crimes punishable by death, including crimes like stealing or cutting down a tree. This resulted in juries not convicting defendants of minor offenses because the punishment was unconscionably severe. This lead to Britain’s reform of the death penalty, which reduced the number of crime punishable by death for over 100 of the 222 crimes from 1823 to 1837 (Intro to Death Penalty, n.d.). The death penalty in America has been around for centuries and was influenced by capital punishment laws in Britain. These laws were brought over to the new world by European settlers. The first recorded execution in the new colonies was Captain George Kendall in the Jamestown colony of Virginia in 1608. He was executed for being a spy for Spain. The Divine, Moral, and Martial Laws were enacted by Virginia Governor Sir Thomas Dale in 1612. These laws imposed the death penalty for minor crimes such as killing chickens, stealing grapes, or trading with Indians. Laws regarding capital punishment varied from colony to colony just as they varied from ruler to ruler hundreds of years earlier. In 1632, Jane Champion became the first woman executed in the new colonies. In 1767, Cesare Beccaria wrote an essay “On Crimes and Punishment”, which expresses that there is no justification in the state taking a life. This began the era of the abolitionist’s movement (Intro to Death Penalty, n.d.). 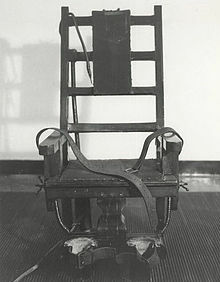 Furman vs. Georgia was a significant case in the history of the death penalty in the United States. This case did not completely abolish the death penalty, but it placed stringent requirements on death penalty statutes. On the night of August 11th, 1967 in Savannah Georgia, a man named William Micke came home from work to his wife and five children. Micke was awakened in the middle of the night to a noise in the kitchen. He found William Henry Furman, a gun wielding 26 year old African American man. Furman fled the house after shooting and killing Micke. The police located Furman within minutes and he was still carrying the gun. Furman was charged with murder. His trial lasted only one day and a guilty verdict was delivered. Furman admitted to breaking into the home, but claimed he accidentally shot Micke when he tripped running out of the house. However, the death penalty statute in Georgia permitted executions even for unintentional killings (Furman-Significance, n.d.). The death penalty has been around for thousands of years; however, the crimes punishable by death and method of execution have changed. The method of executions today are considered by most to be more “humane” that in the past. The most popular method of execution is lethal injection because it is relatively quick and painless with a good success rate. The methods used thousands of years ago were purposely cruel. These include deaths by boiling, impaling, quartering, burning alive, etc. The number of crimes punishable by death is much less today than in the past. In the United States, the death penalty is used mainly in murder cases. Centuries ago, very minor crimes could cost a person their life. The ethical debate over the death penalty has existed for thousands of years and will continue to exist. The use of capital punishment will always be met by opposition because it involves a very sacred thing, human life. The following are several reasons why people oppose the death penalty: the simple belief in the sanctity of human life, the inability of everyone to get a fair trial, the cost of keeping someone of death row, and the possibility of an innocent person being put to death. There are also people that believe the death penalty should be retained. The following are some of the arguments for keeping the death penalty: The belief that a murderer deserves to die, the only way to be sure that the criminal cannot harm again, and as a deterrent for other people considering a crime. The use of capital punishment has changed significantly throughout history and will change if the future if history repeats itself. 1. Kant was the last influential philosopher of modern Europe in the classic sequence of the theory of knowledge during the Enlightenment beginning with thinkers John Locke, George Berkeley, and David Hume. 2. King Hammurabi was the sixth king of Babylon from 1792 BC to 1750 BC. 3. The Hittite Law Code, dating from about the 14th century bc, reflects the Hittite’s closed rural economy and feudal aristocracy. 4. Ronnie Lee Gardner (January 16, 1961 – June 18, 2010) was an American who was convicted of robbery and two counts of murder. He was sentenced to death for the second murder, which was committed during a courtroom escape attempt. 5. Kemmler murdered Tillie Ziegler, his common-law wife, with a hatchet on March 29, 1889, and was sentenced to death by electrocution at New York's Auburn Prison. 1. Death Penalty Information Center. (Updated June 10, 2010). Retrieved June 28, 2010. 2. Furman v. Georgia - Court Severely Restricts Death Penalty. Retrieved June 28, 2010. 3. Furman v. Georgia – Significance. Retrieved June 28, 2010. 5. Mappes, T., & Zembaty, J. (2007). Social Ethics: Morality and Social Policy (7th ed). New York, NY: The McGraw-Hill Companies, Inc. The Death Penalty: Chapter 3. 9. Greenhouse, Linda. Justices Uphold Lethal Injection in Kentucky Case. April 17, 2008. Thanks for an excellent paper, Jason!